﻿ Book Faro del Colibri (Bocas del Toro) - 2019 PRICES FROM A$127! Located over the sea on Carenero Island, the Faro del Colibri features a unique aqua-style with a private beach area, wooden docks, free Wi-Fi throughout the property and activities such as snorkeling. 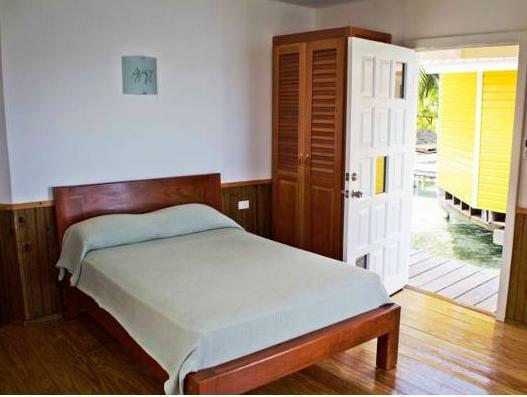 The bungalows built over the water have wood décor, cable TV, a wardrobe, a desk and a private bathroom. All of the units feature a balcony and a private dock with sea views. Guests at Faro del Colibri can enjoy a complimentary buffet breakfast. Guests can also find restaurants serving international food a 5-minute walk from the property. The seasonal on-site restaurant serves local food. 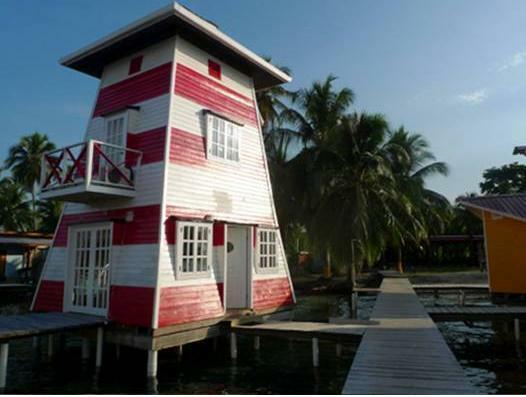 This unique property is a 3-minute boat trip from Bocas del Toro mainland, which is a 10-minute drive from the Bocas del Toro International Airport.